PHANTOM: THE LEGACY RETRACTABLE SCREEN DOORS FOR YOUR HOME! 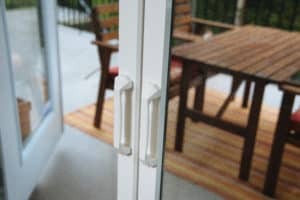 retractable door screen offers smooth operation and optimum control, featuring the new integrated Latch & Release handle. Legacy is available in the Ottawa area by The Screenmobile. Ensure bugs protection, shade and privacy. Phantom: The legacy retractable screen doors are also backed by a Limited Lifetime Warranty to provide homeowners additional peace of mind. Are you looking for a new door screen that can keep up with your needs? Phantom: The Legacy retractable door screens may be the choice for you! Contact us for a free estimate or if you have any questions. Our service is fast, professional and affordable!